Different companies enjoy common benefits from capital equipment. Machinery has direct and indirect effects on your bottom line. A new oven and forklift each make your business more productive. Meanwhile, interest and depreciation expense are tax write offs that indirectly improve business profits. ● Lack of operating history: 2 years of profitable operations are preferred by most lenders. ● Little or Poor Credit: A strong payment history under your business tax id may be required. Sole Props must rely on strong personal credit, which puts other assets more at risk. ● Collateral: Many small businesses lack quality collateral coverage. A 1to1 ratio of collateral to loan amount is often needed. Lenders would prefer to not take tables, chairs and food supplies. Heavy machinery and financial assets are examples of higher quality collateral. Delaying the purchase of new equipment is often not practical, either. Your restaurant may need to quickly boost capacity for lucrative events. Companies need to keep pace with competitors who adapt new technologies. In other cases, manufacturers must replace machinery to maintain production. So, how can you buy capital equipment with minimal credit, business history or collateral? Equipment loans are an effective solution. Your new oven or stamping press serves as quality collateral. Lenders feel more secure making loans backed by specific and valuable assets. Equipment loans also help borrowers overcome collateral shortfalls. A new pizza oven or stamping press is quality collateral for the lender. Borrower liability is lower with equipment loans, as well. If you default, the machine is simply taken by the lender. However, you may be responsible for a difference in loan balance and equipment value at the time. Best Practice: Make sure to understand all terms of the loan. You should ensure that collateral beyond the equipment is not pledged. Technology is constantly changing. A recent breakthrough could make your production presses obsolete. Without liquidity, your business may be at a disadvantage to competitors. Many equipment leases have trade in clauses to keep pace with tech upgrades. For lenders, trade in options improves the retention of borrowers. Best Practices: Ask the finance company about prepayment penalties if you pay off the loan early. You should know if there are time minimums before equipment can be traded in. 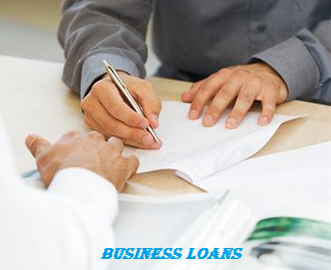 Specialty finance companies such as Business Loans Direct have close relationships with manufacturers, which may include special financing offers. Credit is a minimal or non-factor since the lender knows how the loan will be used. Conversely, general purpose loans pose greater risks for banks. Equipment financing limits collateral and repayment risks to the equipment. The result is easier qualifying and faster approvals. Ask upfront for the approval criteria. Some lenders may still require certain credit levels or financial ratios. You will save time and money knowing in advance what is needed. Entrepreneurs who anticipate borrowing needs maximize the ROI of their business loans. You should manage capital equipment for it's full potential. As equipment ages or becomes inefficient, the tax and productivity benefits of new machinery can also be appealing. You can also check the SBA for special equipment financing opportunities.